The important factors of a saltwater tank are pH, nitrate, salinity, and temperature. During the cycling process, ammonia and nitrite can also be a problem. 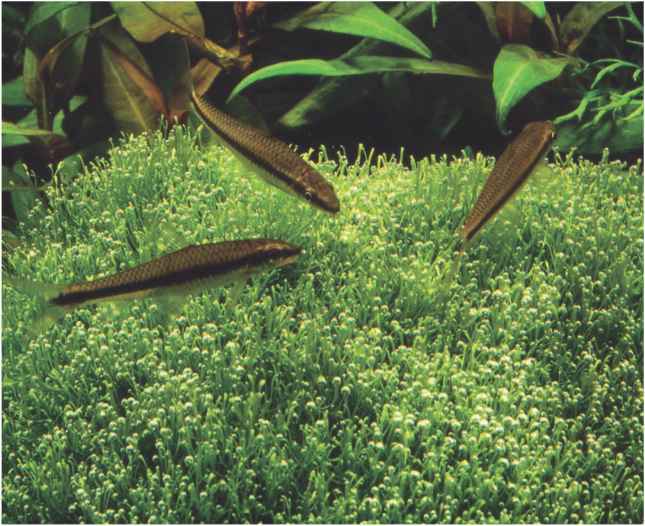 These elements are not different from those of a freshwater tank, but the degree to which they may stray is vastly different. The pH of a marine tank is one of the most important factors. Marine fish and invertebrates are especially sensitive to rapid changes in their pH, so keeping pH fluctuations within 0.2 each day is very critical. All marine creatures like a pH near 8.2, ranging from 8.0 to 8.4. The pH should never drop below 8.0. The next important factor is nitrates. Saltwater fish are more tolerant of higher nitrates than invertebrates (in general), but still like nitrates lower than 20ppm, with less than 5ppm being required for most invertebrates. Reef keepers tend to quote anything higher than 0.5ppm as unacceptable, but this is an unrealistic goal for fish-only or minimal invertebrate tanks. The next factor of concern is salinity, or specific gravity. Loosely (very loosely), specific gravity is the amount of salt in the water. Many aquarists treat specific gravity and salinity as one and the same, but technically speaking, they are not. Specific gravity is temperature dependent and salinity is not. Most hydrometers (hydrometers measure specific gravity) are calibrated to read the correct specific gravity at 59F. Since this is a little low for most tanks, hobbyist grade hydrometers are usually temperature corrected to read the correct specific gravity at or around 77F (25C). Finally, the temperature of a saltwater tank is basically the same as a freshwater tank. Anywhere between 75F to 80F (24C - 27C), with 77F (25C) being a good midpoint. Wild temperature variations increase fish stress and invariably lead to disease, so a good heater (or chiller) is a must. As an aside, submersible heaters tend to be preferred over hang on the back kinds. Also, they seem to be somewhat more reliable than the less expensive 'clip-on' kind. Other factors worth keeping an eye on are alkalinity and calcium. The alkalinity of a saltwater tank is really critical for long term success. Without a decent alkalinity reading, the pH of the tank will drop over time and endanger the lives of your pets. The alkalinity of a saltwater tank should be around 2.5 to 3.5 meq/l. Some of the more easier to keep invertebrates, such as shrimps, also need regular supplements of iodine and other trace elements. Most foods will supply the necessary amounts of these elements. However, if you are using a protein skimmer, these elements will be stripped from the water and need to be replaced manually.